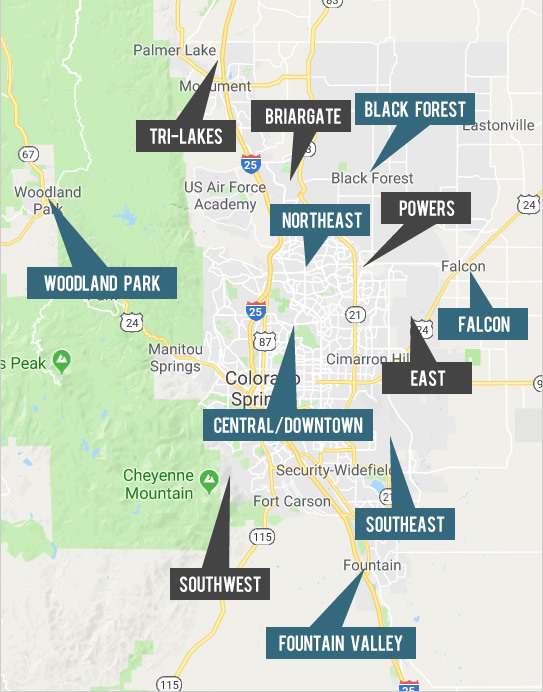 The Colorado Springs area real estate market stretches from the Springs to Larkspur, Tri-Lakes, Woodland Park, Manitou Springs, Old Colorado City, Fountain Valley, and Pueblo, and our real estate choices are as diverse as the people who live here. 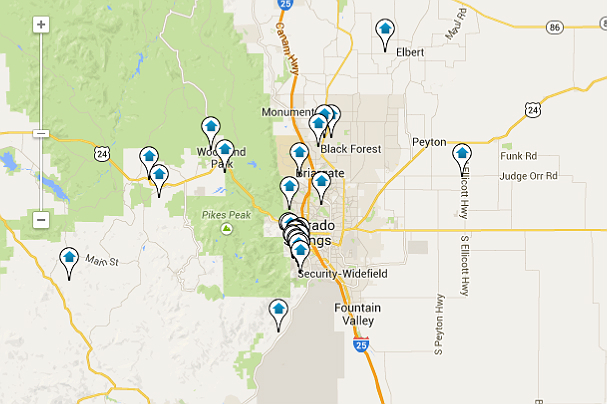 From luxurious estate homes nestled in the southwest Broadmoor area to homes minutes from our military bases, from historic homes in the Old North End to custom built new homes designed specifically for you, our Colorado Springs real estate market has properties for sale to fit almost every budget. 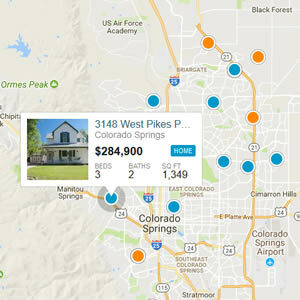 Search all homes for sale in our market with our robust advanced search options, including hand-selecting neighborhoods, map areas, and desired property features.